Summer residents and owners of private holdings annuallysolve the same problem: trying to preserve soil fertility and lead a bitter struggle with the invasion of moles. At first glance, these things are not really related, but in fact better than the composition of the soil, the more useful worms to crawl. And, accordingly, will be pulled behind them predators (ie moles). Therefore, by liming the soil in order to increase productivity, we must be prepared, and that unexpected guests will be added at the site. In acidic soil dies useful microflora, which recycles organic matter and humus in digestible roots fertilizer. 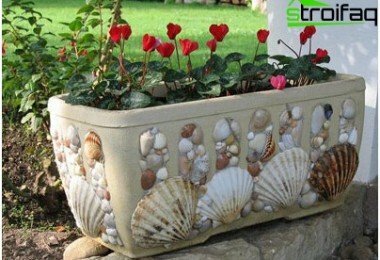 Acid blocks the release of nutrients from the soil, and the roots can not absorb them. Contributed phosphorus reacts with the acid and becomes unavailable to the plant and, therefore, will be carried out feeding all waste. After snowmelt or heavy rains acidic earth dries for a long time, and in the heat of the solid crust is formed on its surface. All the heavy metals that have accumulated in the soil can not be decomposed into harmless components, and to fall into the human food. 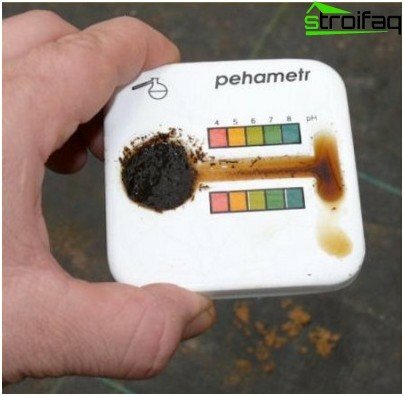 More precisely determine the total level of soil acidificationspecial agrochemical laboratories, but they can be found only in large cities. Most gardeners use to analyze simple "antiquated" methods that give good information. 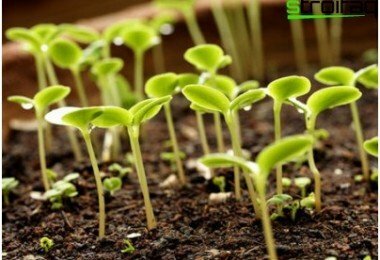 So, first of all make a list of all the green"Inhabitants" of your site, that grow better than others. If it will include conifers, rhododendrons, azaleas, heather (of crops), as well as wild nettle, horsetail, oxalis, sorrel, Belous and mosses, your land needs lime, because it is too soured. But, mind you, in those areas where the rhododendrons bloom luxury, soil improvement is not required, because it is such a composition contributes to the best plant growth. 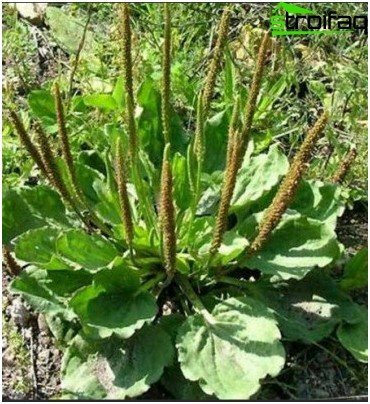 At slightly acidic or neutral lands are well developed weeds such as couch grass, plantain, mother-and-stepmother, birch. When the plants are analyzed, take ona handful of soil from different points of the site for the home experiment. Pour boiling water into a glass mug on a pair of pieces of crushed currants and cherry leaves and let them infuse. The slightly cooled infusion throw a pinch of soil (for each cup of soil from different locations) and watch the reaction. 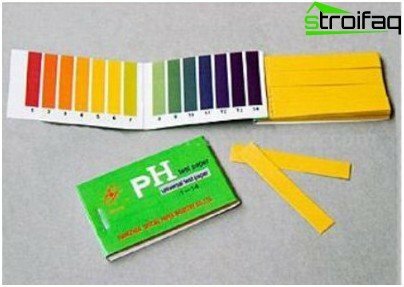 If the liquid is painted in green, it means that this land has a neutral pH level. Blue points to slightly acidic soil, red - too acidification, which requires recovery. 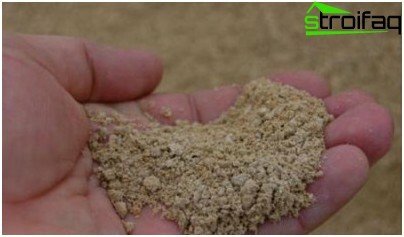 The most popular method is liming the soil deoxidization. To do this, made up of the autumn or spring digging earth following compositions. Hydrated lime. For sale as a finished product already slaked. If such an option could not buy, buy an ordinary building lime. 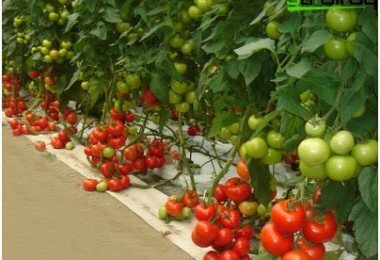 However, it will have to repay the pre-water or expose for a week under the canopy, to nourish the moisture from the air and settle on their own. Lime flour. Often several classes depending on the degree of grinding. Faster other extinguishes the acidity of the flour of the first class with the fine grinding. Drywall. A special type of lime produced in the trenches of dried natural reservoirs. By deoxidation ground speed it outperforms lime flour. Dolomite powder. Gazit acid slowly all these compositions, but has a set of useful minerals that enhance the growth of many vegetable crops. As soon as your soil normalizes acid balance,quicken not only bacteria, microorganisms and worms, but also moles that rush to the site for a delicious treat. They do not apply to plants that are planted in man, but in the pursuit of moving food break roots and thrown out of the earth mounds. Especially disturbing to see this show on a perfectly flat, well-kept lawn. So we have to win in the animals captured territory, although not always a victory is on the side of the hosts. Let us consider the most effective ways to deal with moles. 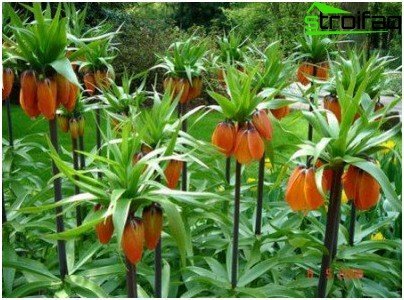 These plants root system allocates powerfulpungent smell, which penetrates into the soil and annoying animal. Therefore, the beds, which planted these "flavors", the mole would prefer to get around. For lawn the best option would be landing on the perimeter of the marigold. 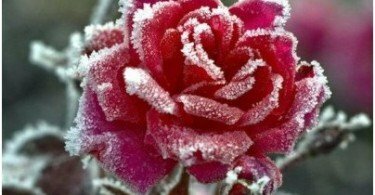 They do not like the smell, too, small animal, and in the fall you can chop and sprinkle flowers on the garden beds, disinfected so that the soil from pests. Success is a struggle with moles using the mostConventional glass empty bottles. They digged 2/3 the height of the beds on the perimeter or area not directly, but obliquely, trying to locate the neck by often blowing winds. In windy weather, the empty package begins to "sing", emitting a buzzing sound. This "concert" mole will not stand. Manufacturers of various gadgets, which,seem to struggle with moles on the site also has finished, we invented a useful thing - ultrasonic repeller. The device resembles a thick pin, which is driven into the ground almost to the cap. Inside the device - battery. They automatically trigger after a few seconds, releasing around the ultrasonic waves and the squeaking sound. Squeak is not heard from the top, but diverges mole moves far enough. the batteries last for about half a season. Even more lucrative option - repeller Solar. He stores energy during daylight hours and converts it to ultrasound. 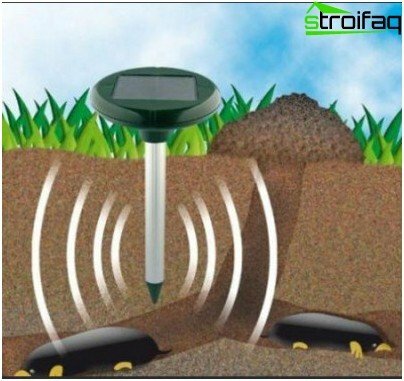 Each manufacturer Set its radius of action of the device, but it is usually enough force to 10-12 meters, so that the lawn or flower bed can be saved. To blockade the entire area put repellents on four extreme points, the rail. The most effective fight against moles in the country isThe exclusion of the opportunity to penetrate your garden. Begin a "war" before the appearance of the "enemy", i.e. While the animal has not yet settled on your territory, but already noted by the neighbors. 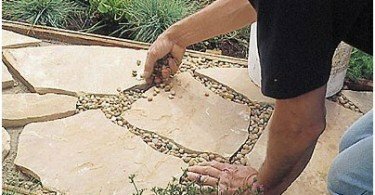 To do this, create a half meter in the soil a kind of shield from slate, poured stones, broken glass or other materials through which the animal is unable to break through. 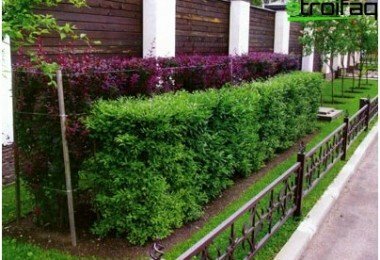 The easiest way is to make such a blockade at the time of installation of the fence, deepening the foundation of the fence. But if the site is already fenced, then the shield is placed near the fence. However, keep in mind that through a continuous barrier toyou will not get into the ground and useful rain worms. You will have to post their own rain nearby puddles collect and bring to the beds. And you can take advantage of grid-Ryabitsev as a shield. Her cell is too small to penetrate the moles, but small animals to freely pass through the barrier. 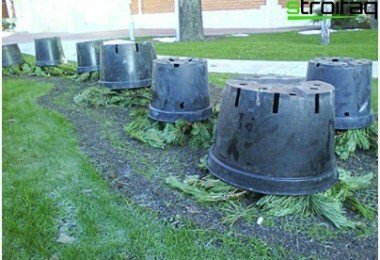 If the fight against moles with your hands is not over your victory, many go to drastic measures: put traps krotolovki and other appliances which are sacrificed animal. But as the animal lives on site with his family, then you will need krotolovok 7-10 pieces, and put them all at once. Too bad that some owners are starting it with these methods, although, as a rule, deal with moles can be a humane way. Then the garden be saved, and your conscience will be clear.